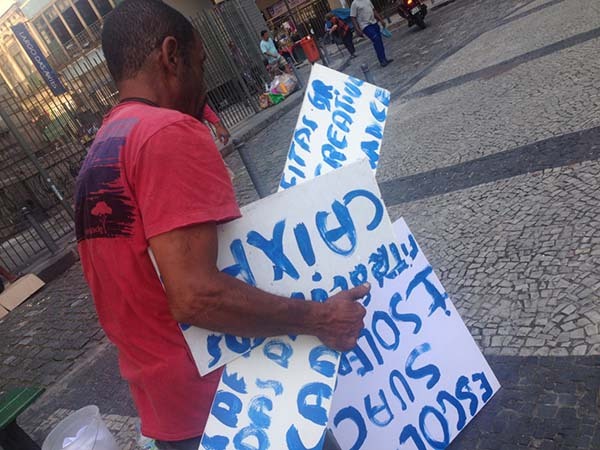 The public action Barato (Cheap), 2015, was held at Largo Sao Francisco, in the historical city center of Rio de Janeiro, Brazil, as part of Largo das Artes International Art Residency Programme. It was possible thanks to the collaboration of the public, especially the homeless and the street vendors who work and live in the surroundings of SAARA popular market. 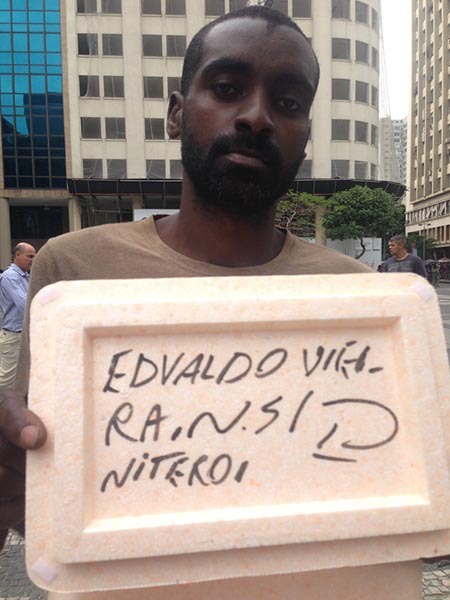 They were given back their empty polystyrene boxes with which the artist had previously worked in one of her installations called Zenit, 2015. 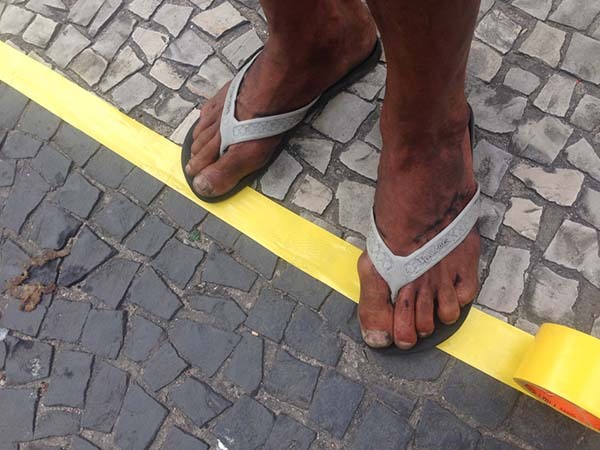 The culture of the street of Brazil has guided some of Marta’s artistic practices. 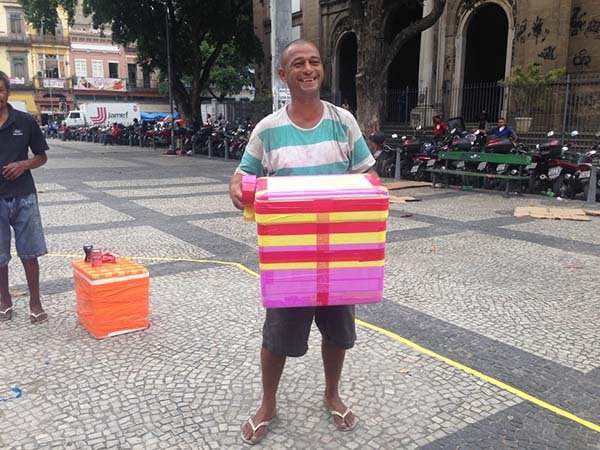 Thinking as sort of cultural “utopic exchange”, this action prompted the participants to “model” their own box, from the use of coloured tapes – a striking symbolism of Brazilian informal capitalism. Their action stimulated somehow an aesthetic response to their labor object “donated” by the artist. 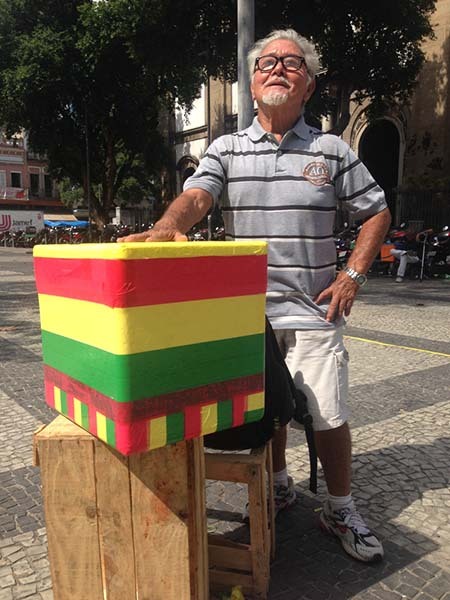 In this process, it was inspiring to Marta to get to know the work of Brazilian artist Marcone Moreira and his installation Visualidade Ambulante, 2010, the result of a research carried out from living with street vendors of the Tocantins River border, in the city of Maraba located in the Brazilian state of Para.